J.S. 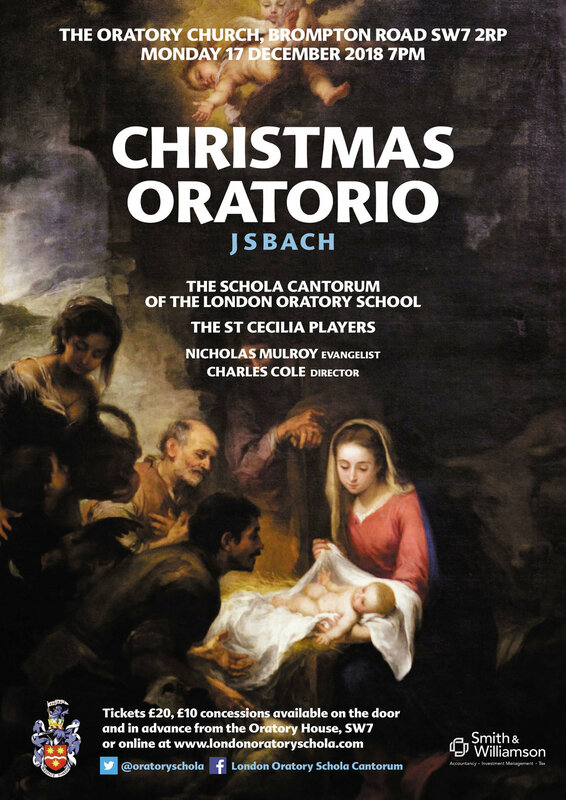 Bach's Christmas Oratorio, sung by the Schola with the Saint Cecilia Players. The role of the Evangelist is sung by Nicholas Mulroy. The performance is sung in German at Baroque pitch and directed by Charles Cole. Tickets priced £20 (£10 concessions) available on the door or in advance from the Oratory House, SW7 or online.